This is where the author Fred Leigh lived as a child. Through the pages of his acclaimed book Sentinel Street, he lets us into the lives of the characters of his childhood; miniature men and women creeping around cramped unhealthy cobblestone alleys, inhabiting draughty terraced houses, existing through poverty and means tests, dole, hand-me-down clothes, providence clubs and pawn shops. In Fred’s time it was Brook Street and Clarence Street, now it’s called Century Street. The Loop Line closed in 1963. And so did a mineral line linking Shelton Bar with Hanley Deep Pit. You can still make out its direction of travel marked by a greenway, ending forlornly at a blocked-up tunnel entrance. Skips wait outside boarded-up houses. Torn curtains flap in broken windows. Ugly graffiti sprays cynical messages on gateless walls along litter-strewn back alleys. 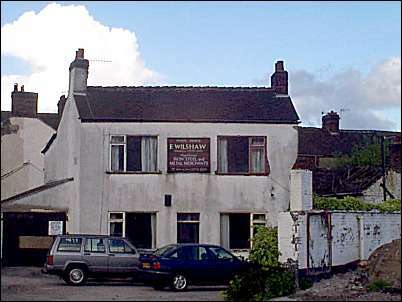 In this village in limbo Derek and Jayne Horton keep a corner shop opposite the Portland Inn. The western end of Century Street joining Cobridge Road is changing as well. Corner shops and pubs were undoubtedly a feature of working class communities. The road continuing through Cobridge crossroads was no exception. This was the start of Elder Road. But today everyone who was born, married and who reared families between Grange Street and Remer Street have left, their homes have been bulldozed into a weed-raddled tip waiting for redevelopment. Even the community on the other side broods killing time to hear what will happen when it’s their turn. A nearby scrap metal yard and skip hire business maintains a corner frontage in Elder Road. At the gateway a curious empty building stands at odds with its surroundings. 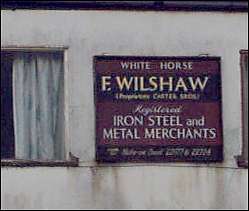 A sign above the door carries the name White Horse. Around the corner Blackwell’s Row once neighboured with Churchill Pottery. And that’s gone as well. 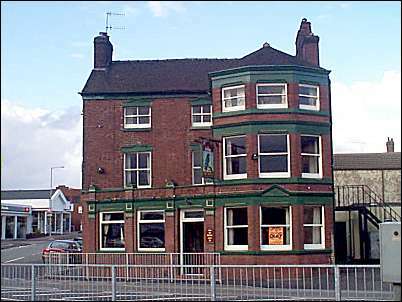 Visually pride of place goes to the Raven pub on the corner of Sneyd Street whose owners are Simon and Sarah Cullen. The exotically named Raven is of mid-Victorian origin, three storeys with added bays and a jumble of rooms that correspond to its traditional charm. And we shall Steve, next week.